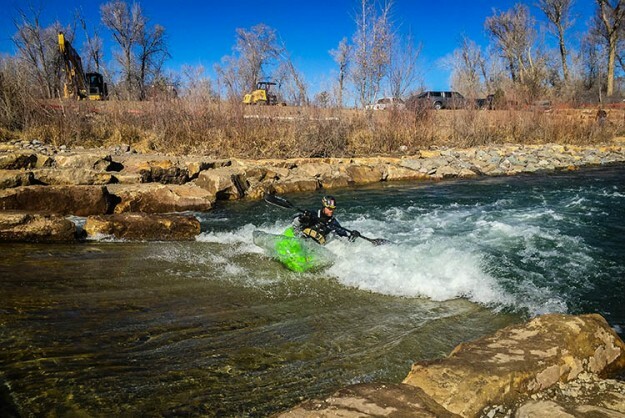 Montrose hopes to bring in more year-round residents with better Internet connectivity and recreational amenities like a new whitewater park (City of Montrose photo). In the couple of years, the nearby Bowie #2 coal mine laid off nearly half its workforce, while the Elk Creek coal mine shut down production entirely. Some 450 jobs have been lost. Both towns have been working with the local rural electric co-op, Delta-Montrose Electric Association, to utilize its fiber-optic cable capacity to build a broadband network with 1-gigabit high-speed connectivity. Montrose voters in 2014 approved a municipal broadband network.